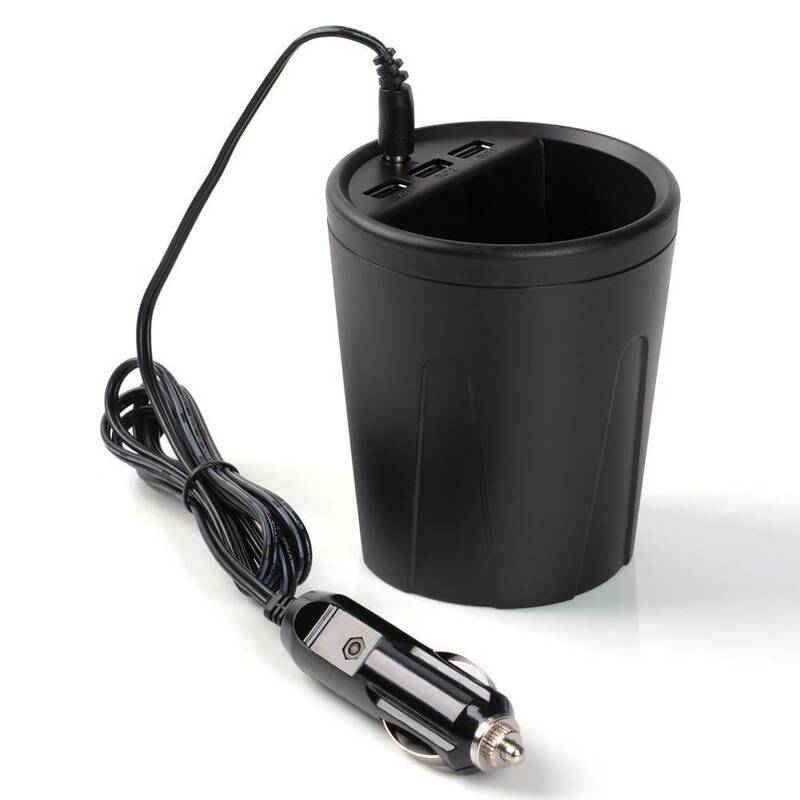 ORICO 36W 3-Port USB Car Charger with Cup Holder Function for iPhone, iPad Air 2, Samsung S6 / S6 Edge, Nexus, HTC M9, Motorola, Nokia and More - Black - NWCA Inc.
Plug and Charge When connecting ORICO 3 port car charger into your vehicle's cigarette lighter socket, 3 ports of super charger are at your service. 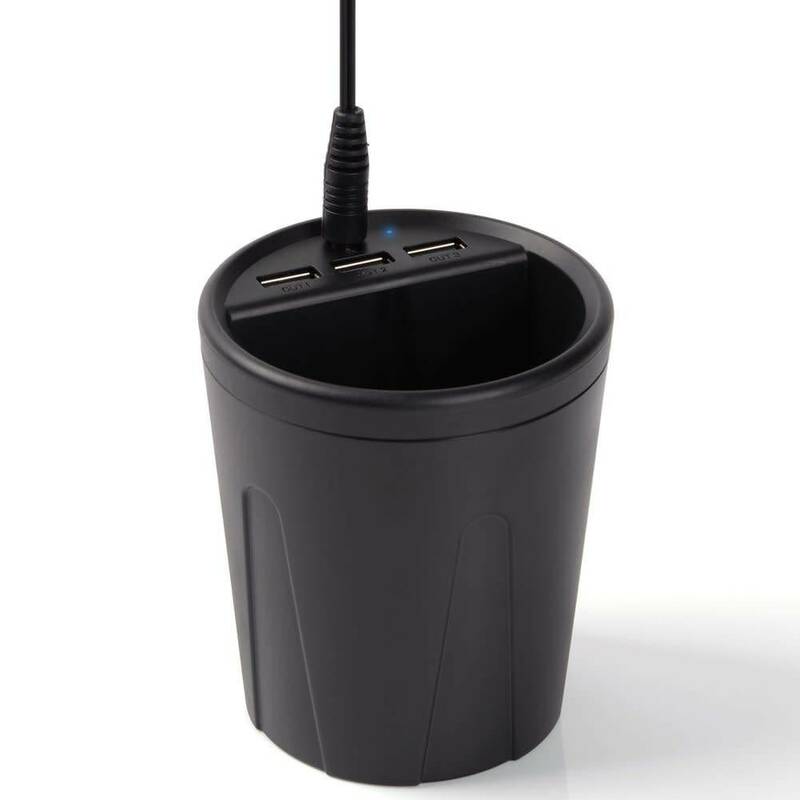 It allows for charging three devices at the same time, keep portable devices powered up and ready to go. 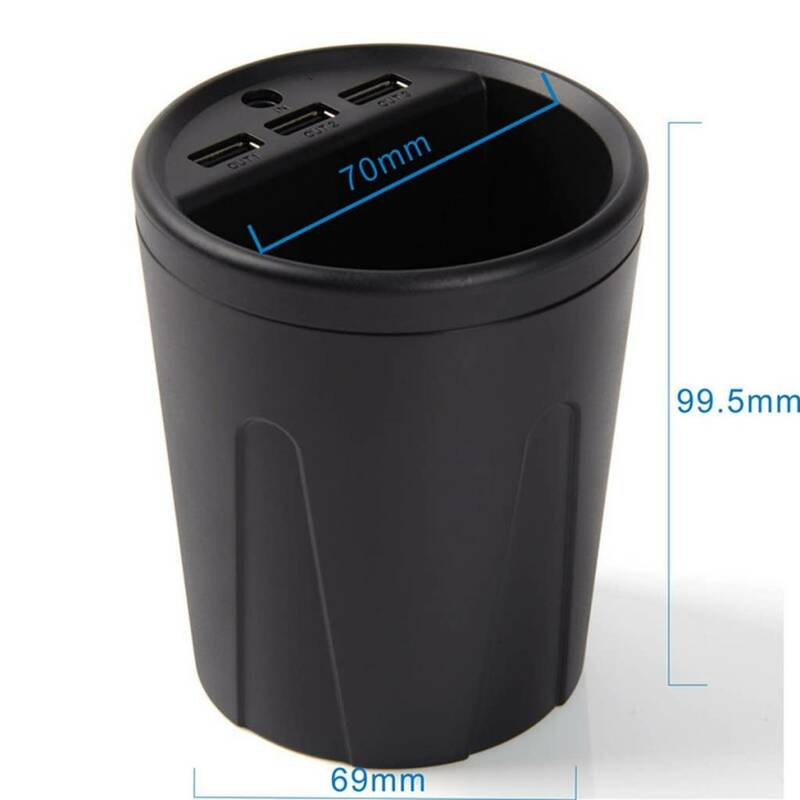 - In addition, unlike ordinary car charger, this gadget has been designed into a cup shape, which is capable to hold your phone while charging, fully free your hands. 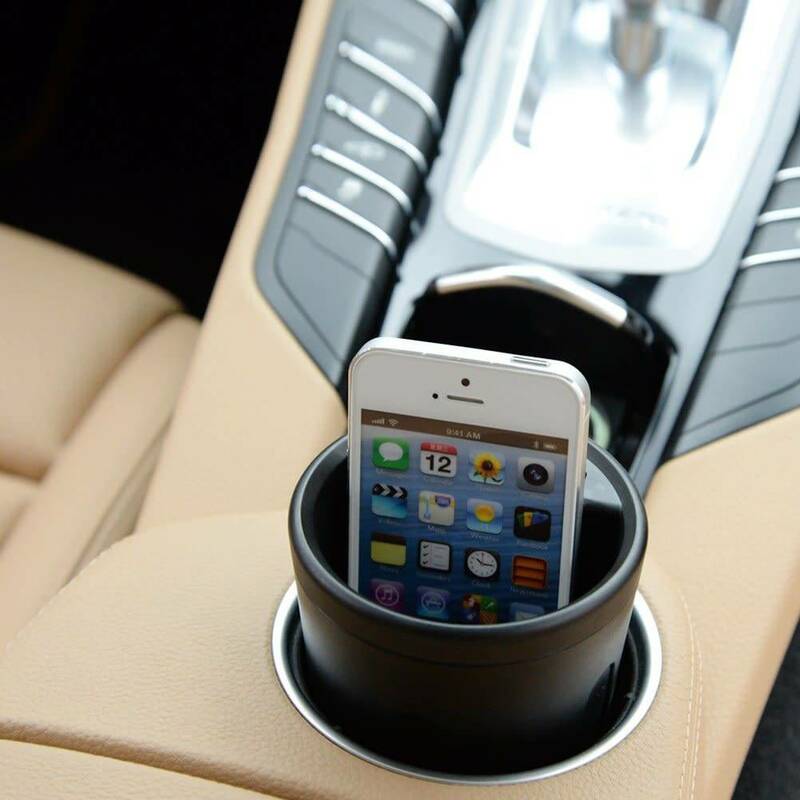 - Cup holder fits smart phones that has a slimmer size than iPhone 5S (included, 5.8 cm in width). 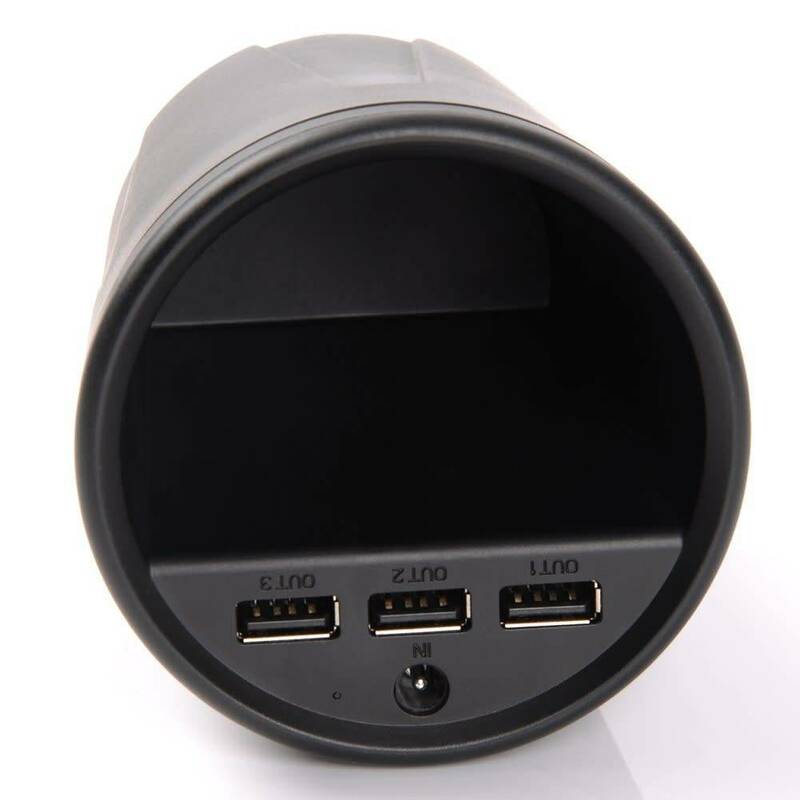 - 3 Super Charging Ports will detect attached devices and self-adjusted to a right status. Avoiding any compatibility Issue and supply reliable power for High Power Required iPad, tablets or Cell Phones from Apple, Samsung, Sony, HTC etc. Attach Devices to Super Charging Ports when any Compatibility Issue happens. 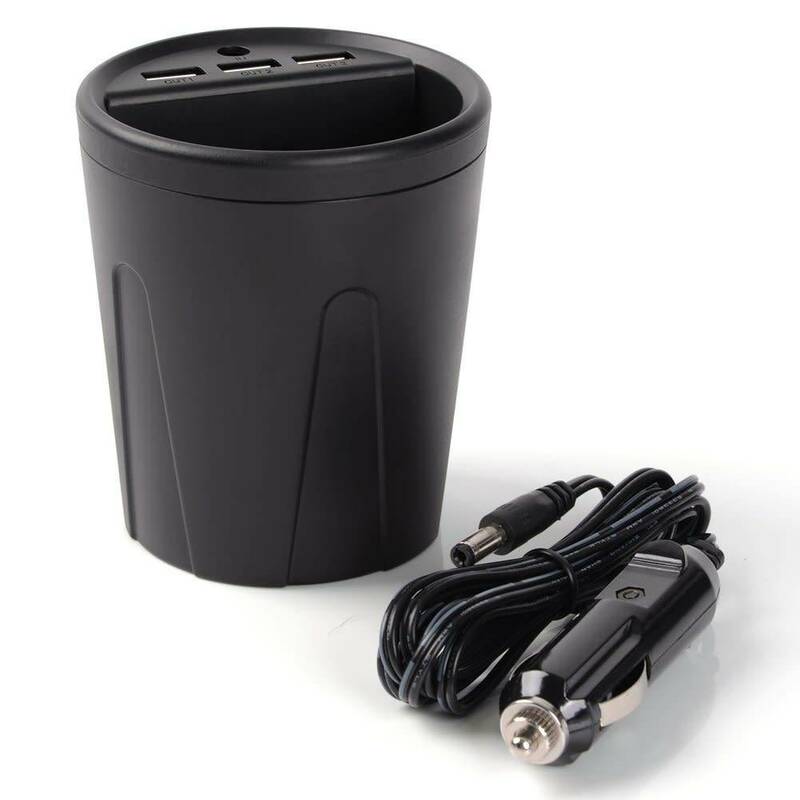 Compact dimension and cup-shaped design fits nicely into tight spaces and plugs into virtually any vehicle's standard port, allows for easy carrying, so you can make sure your digital devices are always charged. 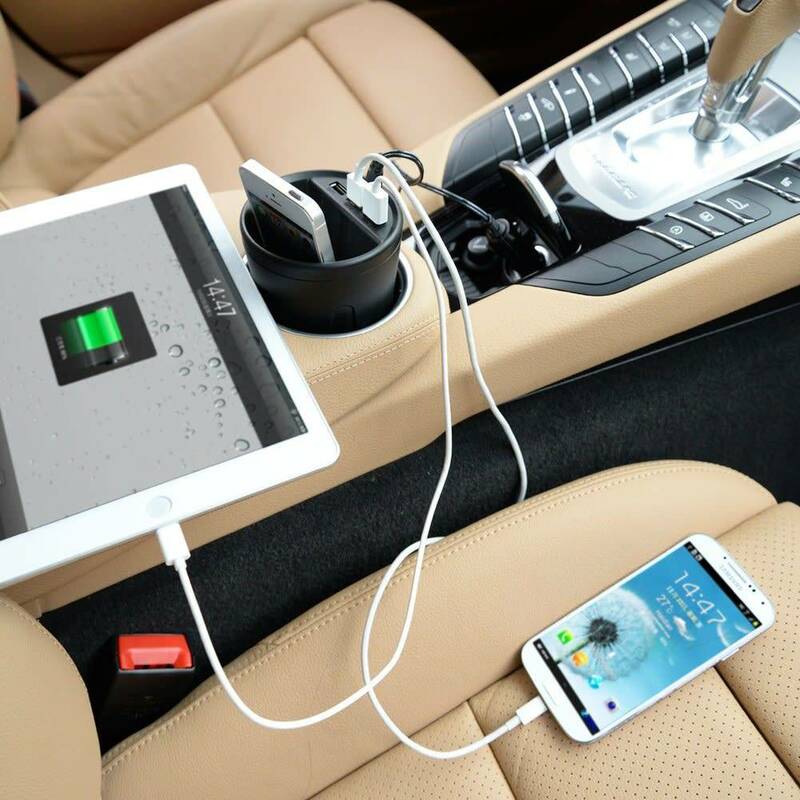 The charger is suitable for a wide range of devices: iPhones, iPads, most smartphones, tablet PCs, mini speakers, MP3/MP4 players, GPS navigation devices, handheld consoles, and other digital devices with 5V input. Note: Not compatible with DC 24V cars, 12V only.